Physician, MLA (1900-1903), MLA (1908-1910), MLA (1911-1914). 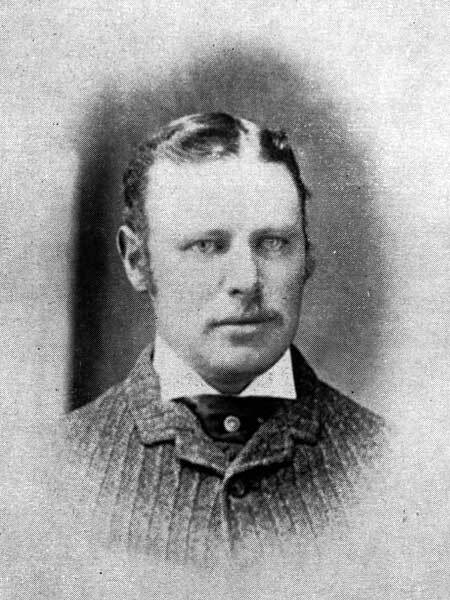 Born at Fergus, Ontario on 9 August 1863, son of William and Mary Grain, he was educated at the Fergus High School and the University of Toronto, graduating with a medical degree from the latter in 1886. He had first come to Manitoba in 1881 as a member of a survey crew. Following his graduation, he returned to Western Canada as a physician for the Canadian Pacific Railway. For a short time he was in charge of a sanatorium at Banff, Alberta. He then moved to Manitoba and practiced medicine at Manitou, moving to Selkirk in 1889. He was one of the charter holders of the Winnipeg and Northern Railway and also had a financial interest in the Lake Winnipeg Fish Company. He served as Mayor of Selkirk in 1896, and was elected to the Manitoba Legislature for the first time in 1899. He was defeated by M. J. O’Donohoe in 1903 but retook the seat, in 1907, after O’Donohoe’s death and was re-elected in 1910. On 4 September 1890, he married Annie Cull (?-?, sister of Laurie Cull and Thomas Cull) at Winnipeg. They had eight children: Emma Kathleen Grain (1891-? ), Gerald Orton Grain (1892-? ), Dorothy Elaine Grain (1893-? ), Phyllis Althea Grain (1895-? ), Lorna M. Grain (1899-? ), Helen Alison Grain (1902-? ), Orton Wilfrid Grain, and Gwendlyn M. Grain (1907-?). The family moved from Selkirk to Winnipeg in 1914 where Grain continued his medical practice. He died at his Winnipeg home, 423 Wardlaw Avenue, on 2 February 1930 and was buried in Mapleton Cemetery near Selkirk. “Dr. O. I. Grain dies from sudden attack,” Manitoba Free Press, 3 February 1930. Obituary, Manitoba Free Press, 3 February 1930.